Throughout the Texas Hill Country, we offer quality plumbing service to established and new customers in residential and commercial settings. Our team maintains a high level of integrity and skill. If you would like to join our team, we would like to encourage you to apply today. For your convenience, you can fill out the form below. Alternatively, you can download our employment application and send it to us via email or mailing it to our Fredericksburg location. 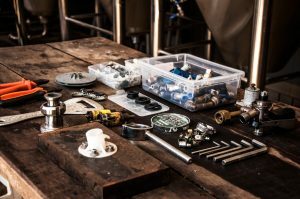 How did you hear about Reeh Plumbing? Become a Reeh Plumbing technician today.